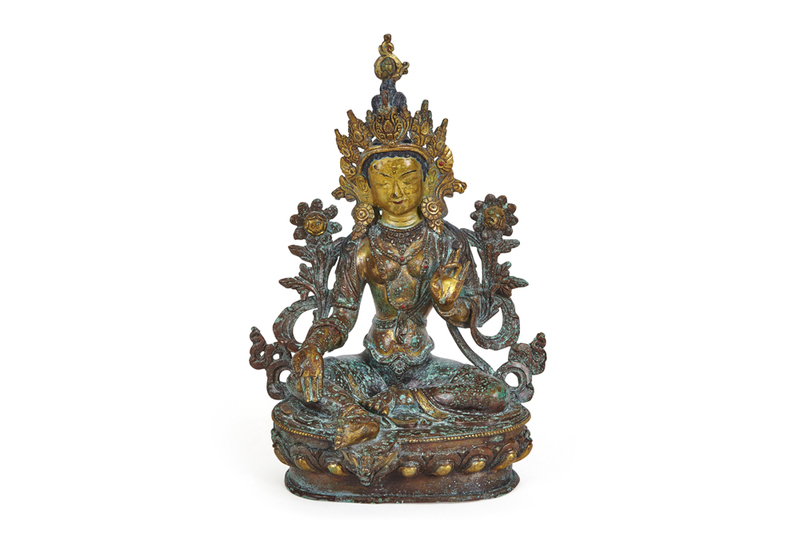 Green Tara or Syamatara is elegantly seated on a beautifully executed double lotus throne with long slender leaves, her body slightly bent, and her right hand in varada mudra. 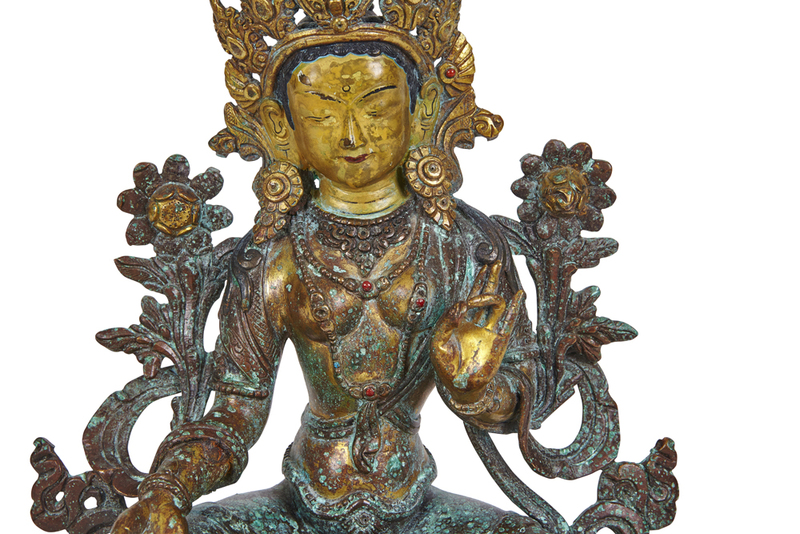 She holds lotus flowers in both hands and is richly adorned with jewelry and chains. 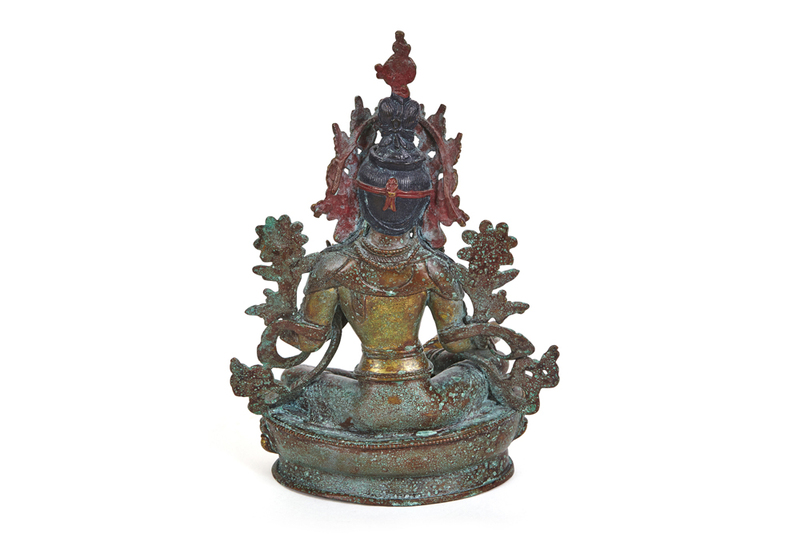 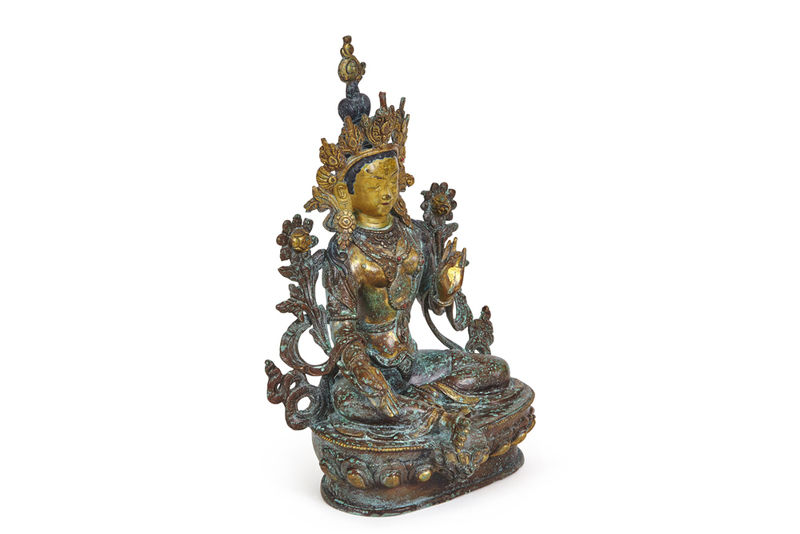 Her right foot rests on a small lotus flower growing from the base. 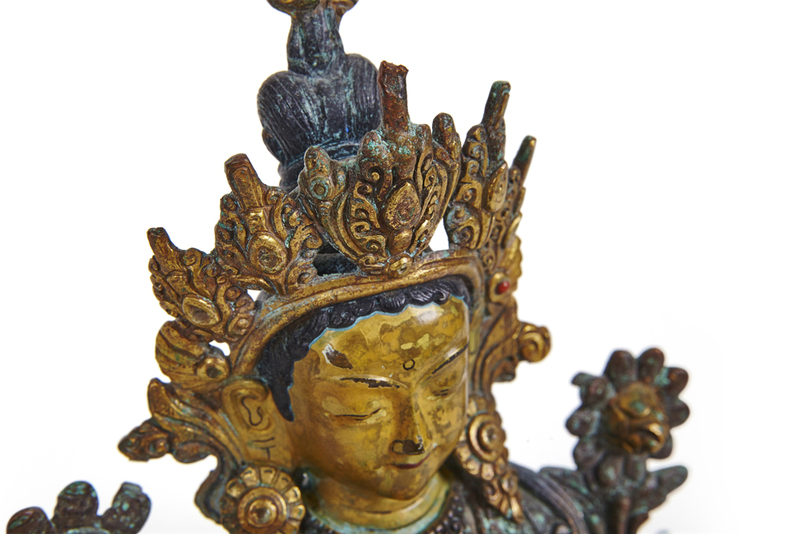 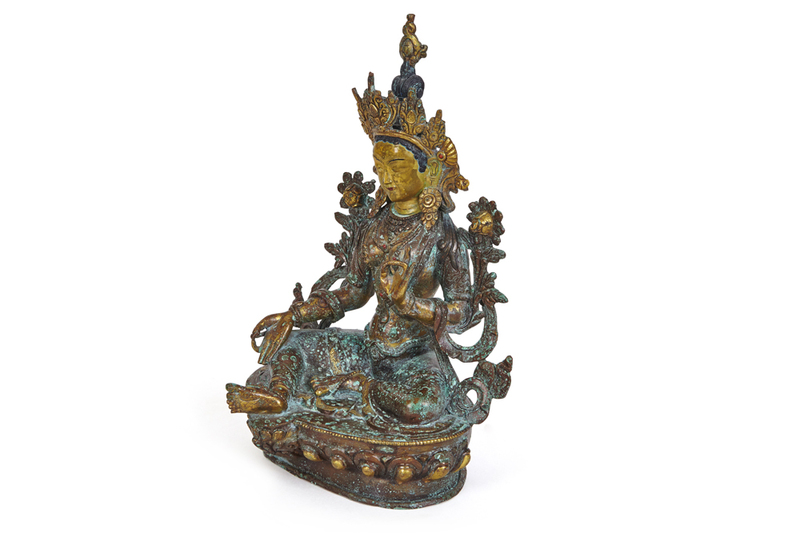 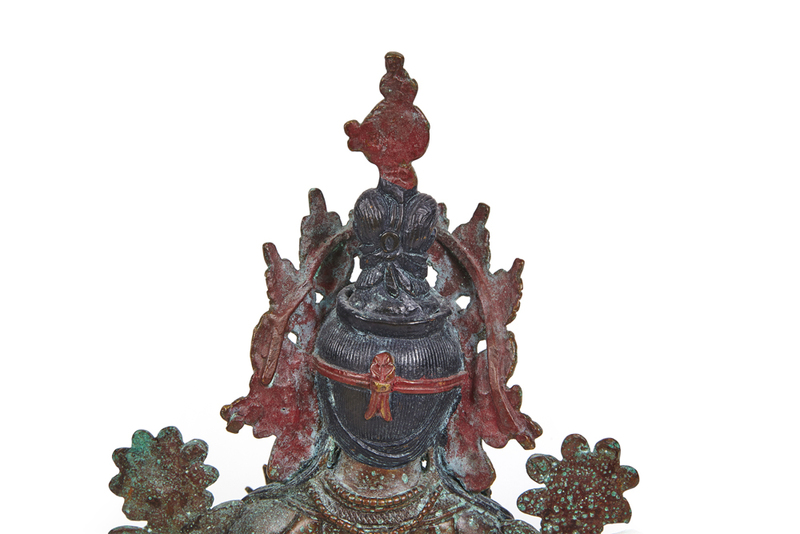 From India to China, Syamatara is the most venerated and most frequently depicted of the Taras, the paragon of the perfect goddess and helper towards release who works wonders. 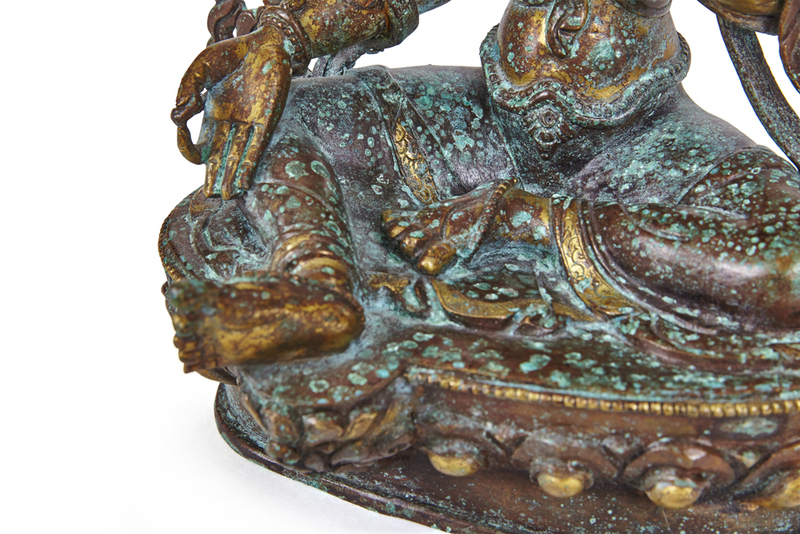 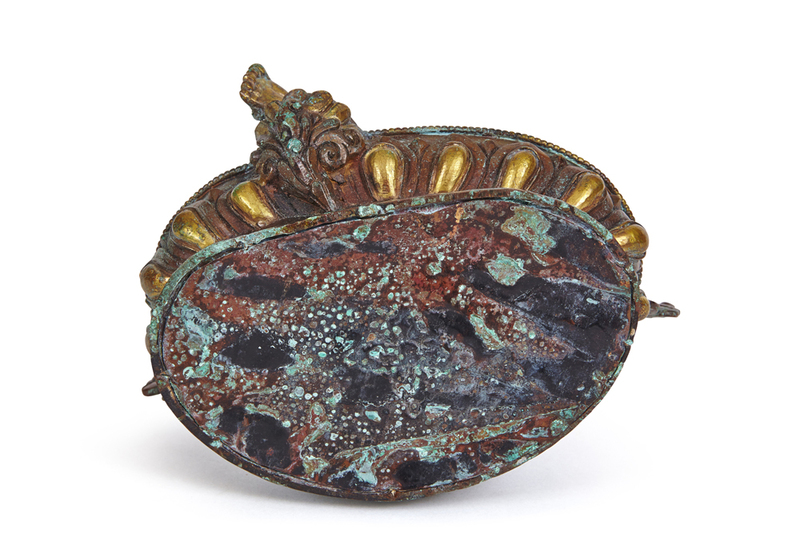 Cast in gold-copper.